Our beautifully restored, turn-of-the-century home is located in the heart of the city. 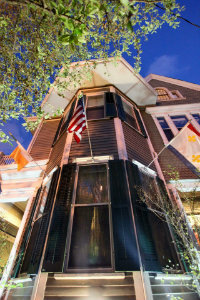 Whether you want to get away with the one you love, take a trip with friends, or have some time for yourself, you will find our inn near the French Quarter to be a wonderful home base for your time in this exciting and vibrant town. Equipped with all of the amenities to make your stay comfortable, 1896 O’Malley House is a charming alternative to hotels for your next getaway. 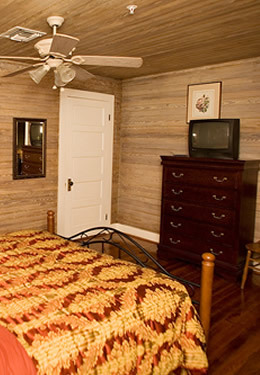 The Cooney Suite, located on the third floor, accommodates up to 3 guests and features a queen-size bed with day bed, writing desk, flat-screen TV/DVD, ceiling fan, guest robes, iron and ironing board, radio clock, high-speed wireless Internet and unique, original Pickled Cypress wooden walls. 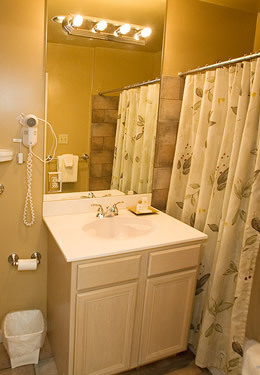 This room features a private bathroom (across the Hall) with tub/shower combo and hair dryer.